Have you ever been to a memorable event? One where every detail stood out and was truly unforgettable? That’s what we want to provide to you! Martin’s Caterers is a full service, family operated Maryland catering company with seven locations throughout the Maryland metropolitan area. Each is distinctive, with a personality all its own. 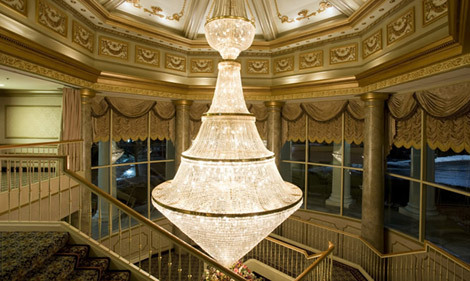 All are meticulously maintained and have elegant, tasteful appointments and sparkling crystal chandeliers. A soft blend of colors works well with any color scheme for any event and our large canopies make parking easy, no matter the weather! Choose any of our convenient locations to accommodate groups as small as 50 or as large as 2,000. Whether you’re in Baltimore or Westminster, we are your Maryland party venue! All of our locations are easily reached from major highways, and have ample free parking. As a premier Maryland catering company, we can provide you an unforgettable experience of amazing food, a dazzling venue and first class service for your event. For nearly half a century Martin’s catering services has been a trusted company by our clients. We strive to provide the best catering services in Maryland bringing the Martin’s Manner to your special event! 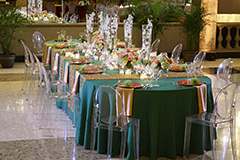 From weddings and banquets to corporate meeting and trade shows, we welcome every occasion. Your event should be the perfect time to share special moments with family and friends or achievements with colleagues without worry for you. Let our expert planners help you create an event you will always remember. So now, we invite you to come on in and explore each of our locations in Maryland through virtual tours and photo galleries, and then contact us to discuss. We can’t wait to make you part of the Martin’s family! If you're interested in hosting an event at your own location, please check out our Off Premise Catering options and allow us to bring the party to you! I had my wedding here Saturday August 11th 2012. I was helped by both Kelley Rucker and Minoo Ventura. They were both wonderful and they always had me looking forward to my event. The day of the wedding we arrived at Martin's Crosswinds for the reception. I cannot thank everyone enough for making my day so happy. Everything was more than wonderful our friends and family loved it. Mike the banquet manager was great. Bryan the DJ was on point. And Patricia the server was amazing. I really had a blast. Thank you for making this possible.